We can offer help and support to individual businesses, for example by helping you with business planning, marketing strategy, or providing general guidance on the local economy and local business sectors. We can also put you in touch with key partners that might be able to help you with a range of topics, including the financial and legal aspects of running your business, providing training and skills and apprenticeships, managing personal development and accessing mentoring services. Our service is free of charge, confidential and impartial. Please get in touch if we can help. If you're a sole trader, business owner or manager looking to grow your business, the Thames Valley Berkshire Business Growth Hub can help. They offer free advice and networking events to all Berkshire businesses, and a special High Growth support service to a small amount of companies that meet their eligibility criteria. Visit the Berkshire Business Hub website, where you'll find links to local businesses, updates on forthcoming events and some useful information on aspects of business life such as sales, innovation and marketing. 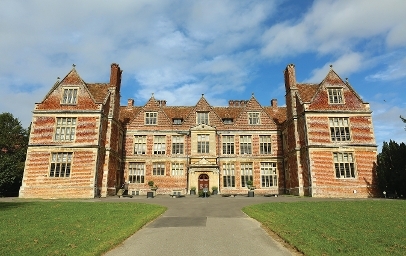 Shaw House is one of the best preserved Grade I, Elizabethan manor houses in England. Set within tranquil surroundings on the north edge of Newbury, within an hour's reach of London and just five minutes from the M4/A34 junction. For more information about available rooms and making a booking please please visit the West Berkshire Heritage website. If you're considering exporting goods, you can meet with your local government contact for help and support. In West Berkshire, our Export Finance Adviser is Stuart Stoter. He can be contacted via email at stuart.stoter@ukef.gsi.gov.uk. The Gov.uk website has more information about UK Export Finance. Building networks of contacts can help support your business, find advice and give you a say in decisions that will affect your industry. West Berkshire Chamber of Commerce is a good place to start - they exist to represent and further the interests of businesses in the area. BuzzConnect is a free network, intended for new and established businesses. It's aim is to provide networking opportunities, workshops and events that will help to develop your business further. The network has been formed by private sector partners with sponsorship from West Berkshire Council . The Business is GREAT website is a single portal for businesses seeking support from the government. Find more help and support on Gov.uk. The Business Support Helpline offers advice and guidance for new and existing businesses. A team of specialist advisors can provide an in-depth personalised service for complex business issues. Telephone 0300 456 3565, Monday to Friday (9am to 6pm) for help on starting and running a business.